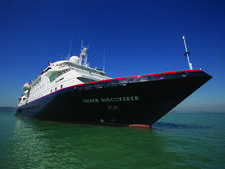 As an expedition vessel, the 100-passenger Silver Galapagos can't compare to the bigger, more luxurious ships in the Silversea fleet and to their attentive service. But it's far fancier than its Galapagos competitors. 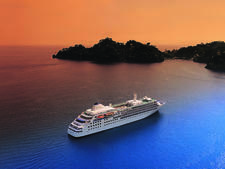 The ship underwent a partial refurbishment in 2013, and then a major redo in 2014, resulting in upgraded accommodations and public areas better suited for its new luxury owners. 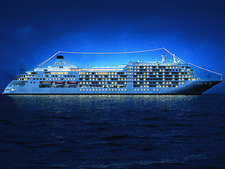 Silver Galapagos now provides all-suite accommodations, with butlers for all passengers. Suites were completely remodeled, with new beige- and blue-accented furnishings, carpeting, bedding, flat-screen televisions and marble-accented baths. A fitness center, massage room, beauty salon, outdoor Jacuzzi and the alfresco Grill restaurant were added. The Explorer Lounge was totally refurbished with plush seating, and corridors were brightened and decorated with Galapagos wildlife photos. 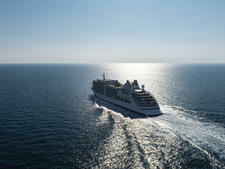 Cruise fares are all-inclusive. 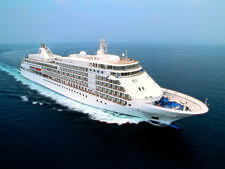 All shore excursions and activities; onboard wine, beer and spirits; gratuities (even for spa and bar); and Wi-Fi are included in the up-front price. So, too, are round-trip economy air between Ecuador and Galapagos Island, a two-night pre-cruise hotel stay with breakfast in Quito and a city tour, a day room in Guayaquil for late flight departures and all transfers. Only extra fees would be laundry, spa and (hopefully not) medical. Expeditions are seamlessly orchestrated. Mornings and afternoons are activity oriented, while evenings bring cocktails and briefings. Active travelers snorkel, hike, kayak and take Zodiac and land tours. More sedentary passengers -- or those who want down time -- take in afternoon lectures, get massages, soak in the Jacuzzi or find a lounge chair to read or snooze. The majority of the crew must be Ecuadorian by law. Some members grasp English as a second language better than others, most evident when seeking service from butlers and servers. However, those who lack in understanding, compensate with heart. 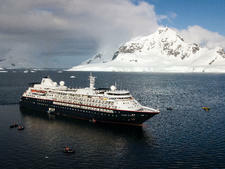 For example, when a passenger on our cruise overslept and missed the last Zodiac for a hike, the crew radioed a Zodiac operator, who returned to pick up the gentleman so he wouldn't miss out. 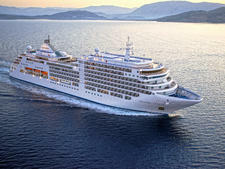 Safety and comfort are top priorities on Silver Galapagos. Besides the requisite lifeboat drill, expedition team members review life-saving actions, such as proper signaling for water rescues. Zodiac crew watch snorkelers, swimmers and kayakers intently. At nightly briefings, expedition team members show videos of upcoming hikes so passengers can best judge fitness required. 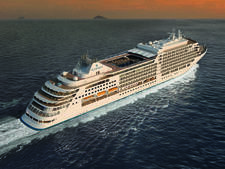 Silver Galapagos will leave the Silversea fleet in 2020 when the new purpose-built Galapagos expedition ship, Silver Origin, debuts. 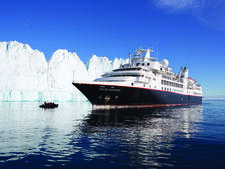 Expedition ships generally draw more physically active, younger clientele than traditional cruise vessels, and Silver Galapagos is no exception. Passengers are typically couples, ranging from late 30s to early 70s. Expect an enthusiastic, outgoing, well-traveled group. 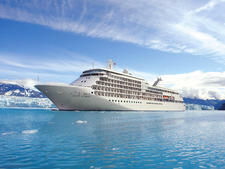 Many are new to expedition-style cruising and even first time cruisers. Most are North American with a few Australians, plus English-speaking Central and South Americans and Europeans. Passengers are social, eager to share wildlife sightings and swap travel tips and stories. Eveningwear is casual, anything but jeans or shorts in The Restaurant. Women don sundresses, or blouses and pants with minimal jewelry. Men wear polo shirts and slacks. Sports jackets are rare. Diners can wear shorts at the Grill. Since Silver Galapagos is all-inclusive, gratuities are not requested or expected (even for spa and bar service). However, some passengers do tip their butlers and servers.